Gary Johnson was appointed to the Board of Managers in 2015 to represent the municipalities. 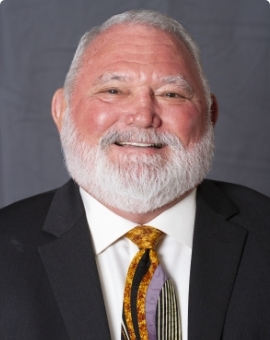 He most recently served on the City of Seabrook City Council from 2012 – 2018, serving as Mayor Pro Tem from 2015-2018. Mr. Johnson has served several years on the Seabrook Planning and Zoning Commission and also served as the Chair of the Comprehensive Master Plan Committee. He served on the Clear Lake Emergency Medical Corps Board from 2012-2018, and was president 2016-2018. Mr. Johnson was appointed and commissioned as an honorary Admiral in the Texas Navy in August 2017. Mr. Johnson has over 40 years of experience in the construction industry with 15 years of experience specifically in Job Order Contracting, IDIQ, Saber and MATOC contracts. His specialties also include strategic planning, leadership and team development. He currently is a member of the American Institute of Architects and a member of the Scouting Alumna Association and National Eagle Scout Association, Order of the Arrow and Wood Badge. Mr. Johnson is also actively involved in the Seabrook Rotary and past president 2016-2017. Mr. Johnson and his wife Lissa have lived in the Seabrook community for 20 years and raising their 11-year-old grandson Daniel.